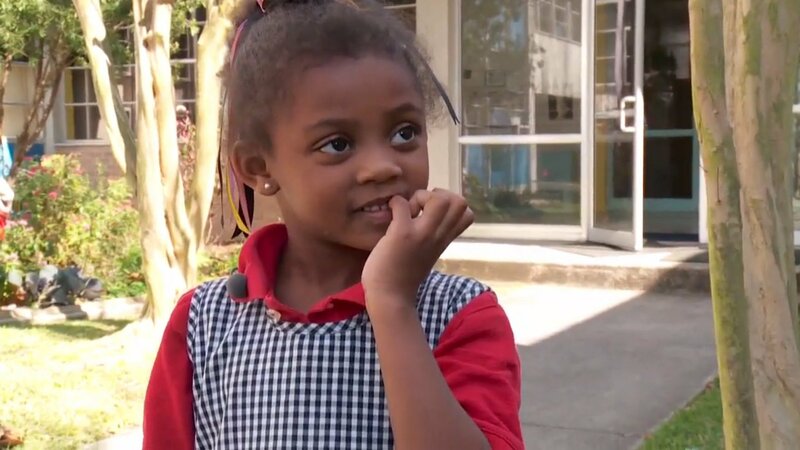 5-year-old Cloe Woods knew exactly what to do when a stove in her home caught on fire in the middle of the night. The Pre-K student from Kenner, Louisiana had recently learned fire safety tips on field trip to a local fire station. The knowledge, likely, saved her life. Her mother, Shone Arceneaux, said Cloe ran to her grandmother's room when the smoke detectors went off. She told her grandma to put her hands on her shoulders and led her out of the house. Cloe also made sure that her dog was ok.
Once they'd exited the home, Cloe ran to neighbors looking for water. She told them to call 911. Cloe's mother was carpooling her other children at the time of the fire. Thanks to Cloe's quick thinking, her family is still in tact. A donations page to help the family rebuild is set up.